Behavior: How Bored is Your Dog? Nutrition: Help! Why Is My Dog So Gassy? Review of the Best Dog Products: Planning a Day Out with Your Dog? You Need to Read This! Talking Point: A Day in The Life of a Dog in Bosnia – Would You Swap? Health: Mast Cell Tumours - Is My Dog at Risk? eBook: Acupuncture for Dogs - Does It Really Work? Can I also buy this magazine in Holland or is it possible to order this issue? Hi Olaf, thanks for your message. 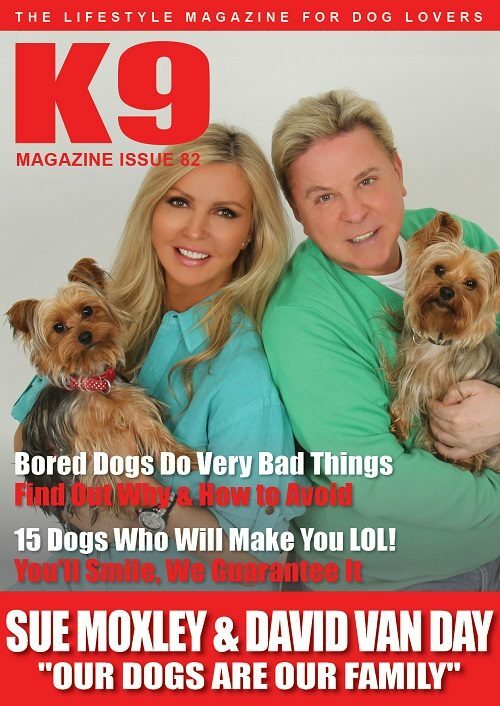 Being digital we’re worldwide, if you click this link you can find out how you can start receiving K9 Magazine in your inbox monthly as well as access to much more: http://www.k9magazine.com/join/uk-subscription-plans/ – Best wishes, K9 Magazine team. The CLIX CarSafe Harness – How Good Is It?